Smith, Bernard. Forces in American Criticism: A Study in the History of American Literary Thought. New York: Harcourt, Brace and Company, 1939. Slochower, Harry. No Voice Is Wholly Lost: Writers and Thinkers in War and Peace. New York: Creative Age Press, 1945. Hoffman, Frederick J., Charles Allen, and Carolyn F. Ulrich. The Little Magazine: A History and a Bibliography. Princeton, N.J.: Princeton University Press, 1946. Cowley, Malcolm. Exile’s Return: A Literary of Odyssey of the 1920’s. New York: The Viking Press, 1951. Duncan, Hugh Dalziel. Language and Literature in Society. Chicago: University of Chicago Press, 1953. Elton, William. A Guide to the New Criticism. Revised ed. Chicago: Modern Poetry Association, 1953. Knox, George. Critical Moments: Kenneth Burke’s Categories and Critiques. Seattle: University of Washington Press, 1957. Adams, Robert M. Strains of Discord: Studies of Literary Openness. Ithaca, N.Y.: Cornell UP, 1958. Holland, L. Virginia. Counterpoint: Kenneth Burke and Aristotle's Theories of Rhetoric. New York: Philosophical Library, 1959. Randall, J.H. Aristotle. New York: Columbia UP, 1960. Duncan, Hugh Dalziel. Language and Literature in Society. New York: Bedminster Press, 1961. Parsons, Talcott et al. Theories of Society: Foundations of Modem Sociological Theory. New York: Free Press of Glencoe, 1961. Duncan, Hugh Dalziel. Communication and Social Order. New York: Bedminster Press, 1962. Josephson, Matthew. Life among the Surrealists: A Memoir. New York: Holt, Rinehart, and Winston, 1962. Kaelin, Eugene F. An Existentialist Aesthetic: The Theories of Sartre and Merleau-Ponty. Madison: University of Wisconsin Press, 1962. Rueckert, William H. Kenneth Burke and the Drama of Human Relations. Minneapolis,: University of Minnesota Press, 1963. Sutton, Walter. Modern American Criticism. Englewood Cliffs, NJ: Prentice-Hall, 1963. Wasserstrom, William. The Time of the Dial. Syracuse: Syracuse University Press, 1963. Edelman, Murray J. The Symbolic Uses of Politics. Urbana: U of Illinois P, 1964. Joost, Nicholas. Scofield Thayer and the Dial. Carbondale, IL: Southern Illinois University Press, 1964. Lemon, Lee. The Partial Critics. New York: Oxford University Press, 1965. Winterowd, W. Ross. Rhetoric and Writing. Boston: Allyn and Bacon, 1965. Duncan, Hugh Dalziel. Communication and Social Order. New York: Oxford University Press, 1968. ---. Symbols in Society. New York: Oxford University Press, 1968. Brown, Merle Elliott. Kenneth Burke. University of Minnesota Pamphlets on American Writers. Minneapolis: University of Minnesota Press, 1969. Duncan, Hugh D. Symbols and Social Theory. New York: Oxford University Press, 1969. Frank, Armin Paul. 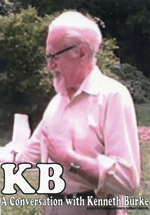 Kenneth Burke. New York,: Twayne Publishers, 1969. Shaw, Leroy Robert. The Playwright and Historical Change: Dramatic Strategies in Brecht, Hauptmann, Kaiser, and Wedekind. Madison: U of Wisconsin P, 1970. States, Bert O. Irony and Drama: A Poetics. Ithaca: Cornell UP, 1971. Ransom, John Crowe. Beating the Bushes; Selected Essays, 1941-1970. New York: New Directions, 1972. Brock, Bernard L., et al. Public Policy Decision-Making: Systems Analysis and Comparative Advantages Debate. New York: Harper & Row, 1973. Douglas, Donald G. Philosophers on Rhetoric: Traditional and Emerging Views. Skokie, Ill.,: National Textbook Co., 1973. White, Hayden. Metahistory: The Historical Imagination in Nineteenth-Century Europe. Baltimore: Johns Hopkins UP, 1973. Angoff, Charles. William Carlos Williams: A Critical Appreciation. Cranbury, NJ: Assoc. Univ. Presses, 1974. Nimmo, Dan D. Popular Images of Politics: A Taxonomy. Englewood Cliffs, NJ: Prentice Hall, 1974. Ross, Ralph Gilbert. Makers of American Thought : An Introduction to Seven American Writers. Minneapolis: University of Minnesota Press, 1974. Bloom, Harold. A Map of Misreading. New York: Oxford UP, 1975. Brissett, Dennis and Charles Edgley, eds. Life as Theatre: A Dramaturgical Sourcebook. Chicago: Aldine, 1975. Wadlington, Warwick. The Confidence Game in American Literature. Princeton, NJ: Princeton UP, 1975. Combs, James E. and Michael W. Mansfield. Drama in Life: The Uses of Communication in Society. New York: Hastings, 1976. Kreilkamp, Thomas. The Corrosion of the Self: Society’s Effects on People. Irvington, NY: New York UP, 1976. Wage, H. A. Reisgidsen Vol Belluno's En Blauwbaarden: Opstellen over S. Vestdijk En Anderen Aangeboden Aan Dr. H. A. Wage. Leiden: Vakgroep Nederlandse Taal- & Letterkunde, 1976. ---. Waar Zijn De Muzen Gebleven?. Leiden: Vakgroep Nederlandse taal- en letterkunde, 1976. Roig, Charles. Symboles Et Societe: Une Introduction a La Politique Des Symboles D’apres L’oeuvre De Kenneth Burke. Bern: Peter Lang, 1977. Davis, Walter A. The Act of Interpretation: A Critique of Literary Reason. Chicago: U of Chicago P, 1978. Nimmo, Dan D. Political Communication and Public Opinion in America. Santa Monica: Goodyear, 1978. White, Hayden. Tropics of Discourse: Essays in Cultural Criticism. Baltimore: Johns Hopkins UP, 1978. Booth, Wayne. Critical Understanding: The Powers and Limits of Pluralism. Chicago: U of Chicago P, 1979. Webster, Grant. The Republic of Letters: A History of Postwar Literary Opinion. Baltimore: Johns Hopkins U P, 1979. Combs, James E. Dimensions of Political Drama. Santa Monica, CA: Goodyear, 1980. Nimmo, Dan D. Subliminal Politics: Myths and Mythmakers in America. Englewood Cliffs, NJ: Prentice Hall, 1980. Valesio, Paolo. Novantiqua: Rhetorics as Contemporary Theory. Bloomington: Indiana UP, 1980. Wise, Gene. American Historical Explanations. 2d revised ed. Minneapolis: U of Minnesota P, 1980. Jameson, Fredric R. The Political Unconscious: Narrative as a Socially Symbolic Act. Ithaca: Cornell UP, 1981. Bloom, Harold. Agon: Towards a Theory of Revisionism. Vol. Oxford UP: New York, 1982. ---. The Breaking of the Vessels. The Welleck Library Lectures at the U of California, Irvine. Chicago: U of Chicago P, 1982. Kimberling, C. Ronald. Kenneth Burke’s Dramatism and Popular Arts. Bowling Green, OH: Bowling Green State University Popular Press, 1982. Perinbanayagam, R.S. The Karmic Theater: Self, Society, and Astrology in Jaffna. Amherst: U of Massachusetts P, 1982. Rueckert, William H. Kenneth Burke and the Drama of Human Relations. 2nd ed. Berkeley: University of California Press, 1982. Tompkins, Phillip K. Communication as Action: An Introduction to Rhetoric and Communication. Belmont, CA: Wadsworth, 1982. White, Hayden and Margaret Brose, eds. Representing Kenneth Burke. Baltimore: Johns Hopkins UP, 1982. Nimmo, Dan and James E. Combs. Mediated Political Realities. New York: Longman, 1983. Campbell, Paul Newell. Form and the Art of Theatre. Bowling Green, OH: Popular Press, 1984. Donoghue, Denis. Ferocious Alphabets. New York: Columbia UP, 1984. Abdulla, Adnan K. Catharsis in Literature. Bloomington: Indiana UP, 1985. Bloom, Harold. Walt Whitman. Modern Critical Views. New York: Chelsea House, 1985. Brereton, John C. Traditions of Inquiry. New York: Oxford University Press, 1985. Duncan, Hugh Dalziel. Communication and Social Order. New Brunswick, N.J.: Transaction Books, 1985. McCloskey, Donald [Deirdre] N. The Rhetoric of Economics. Vol. U of Wisconsin P: Madison, 1985. Nemerov, Howard. New & Selected Essays. Carbondale: Southern Illinois University Press, 1985. Cowley, Malcolm. Conversations with Malcolm Cowley. Jackson, MS: UP of Mississippi, 1986. Duffey, Bernard I. A Poetry of Presence: The Writing of William Carlos Williams. Madison: U of Wisconsin P, 1986. Heath, Robert L. Realism and Relativism: A Perspective on Kenneth Burke. Macon, Ga.: Mercer University Press, 1986. Shore, Laurence. Southern Capitalist: The Ideological Leadership of an Elite,1832-1885. Chapel Hill: U of North Carolina P, 1986. Fisher, Walter R. Human Communication as Narration: Toward a Philosophy of Reason, Value, and Action. Columbia: U of South Carolina P, 1987. Gunn, Giles. The Culture of Criticism and the Citicism of Culture. New York: Oxford UP, 1987. Rountree, Clarke. An Introduction and Index To "Conversations with Kenneth Burke". Iowa City, IA: University of Iowa Department of Communication Studies, 1987. Southwell, Samuel B. Kenneth Burke & Martin Heidegger: With a Note against Deconstructionism. Gainesville: University Presses of Florida, University of Florida Press, 1987. Wadlington, Warwick. Reading Faulknerian Tragedy. Ithaca: Cornell UP, 1987. Covino, William A. The Art of Wondering: A Revisionist Return to the History of Rhetoric. Portsmouth, NH: Boynton/Cook Publishers, 1988. Donoghue, Denis. Reading America: Essays on American Literature. Berkeley: U of California P, 1988. Henderson, Greig E. Kenneth Burke: Literature and Language as Symbolic Action. Athens: University of Georgia Press, 1988. Jay, Paul. The Selected Correspondence of Kenneth Burke and Malcolm Cowley, 1915-1981. New York: Viking Penguin, 1988. Leitch , Vincent B. American Literary Criticism from the Thirties to the Eighties. New York: Columbia UP, 1988. Benoit, William L. and Michael D. Moeder. Bibliography of Several Approaches to Rhetorical Criticism. Annandale, VA: Speech Communication Association, 1989. Cuzzort, Raymond Paul. Using Social Thought: The Nuclear Issue and Other Concerns. Mountain View, CA: Mayfield Publishing Company, 1989. Simons, Herbert and Trevor Melia, eds. The Legacy of Kenneth Burke. Madison: U of Wisconsin P, 1989. Crafton, Jeffrey Alan. The Agency of the Apostle: A Dramatistic Analysis of Paul's Responses to Conflict in 2 Corinthians. Sheffield, England: JSOT, 1991. Richards, Jeffery H. Theater Enough: American Culture and the Metaphor of the World Stage, 1607-1789. Durham, NC: Duke UP, 1991. Winchell, Mark Royden. Neoconservative Criticism: Norman Podhoretz, Kenneth S. Lynn, and Joseph Epstein. New York: Macmillan, 1991. Young, T.R. The Drama of Social Life: Essays in Post Modern Social Psychology. Rutgers, NJ: Transaction Books, 1991. Behr, Martin. Continuity and Change in the Thought of Kenneth Burke. Ottawa: National Library of Canada, 1992. O’Banion, John D. Reorienting Rhetoric:The Dialectic List and Story. University Park: Penn State UP, 1992. Poirier, Richard. Poetry and Pragmatism. Cambridge, MA: Harvard UP, 1992. Bremen, Brian. William Carlos Williams and the Diagnostics of Culture. New York: Oxford UP, 1993. Brummett, Barry. Landmark Essays on Kenneth Burke. Davis, CA: Hermagoras P, 1993. Bygrave, Stephen. Kenneth Burke: Rhetoric and Ideology. New York: Routledge, 1993. Chesebro, James W. Extensions of the Burkeian System. Tuscaloosa: U of Alabama P, 1993. Covino, William A. Magic, Rhetoric, and Literacy: An Eccentric History of the Composing Imagination. Albany: State University of New York Press, 1994. Rueckert, William H. Encounters with Kenneth Burke. Urbana: University of Illinois Press, 1994. Stull, Bradford T. Religious Dialectics of Pain and Imagination. Albany: State U of New York P, 1994. Winterowd, W. Ross and Jack Blum. A Teachers Introduction to Composition in the Rhetorical Tradition. Urbana: National Council of Teachers of English, 1994. Young, Richard. Landmark Essays on Rhetorical Invention in Writing. Davis, CA: Hermagoras Press, 1994. Axelrod, Steven and Helen Deese. Critical Essays on William Carlos Williams. New York: M Macmillan International, 1995. Brock, Bernard L., ed. Kenneth Burke and Contemporary European Thought : Rhetoric in Transition. Studies in Rhetoric and Communication. Tuscaloosa: University of Alabama Press, 1995. Cragan, John F., and Donald C. Shields. Symbolic Theories in Applied Communication Research: Bormann, Burke, and Fisher. Cresskill, NJ: Hampton P, 1995. Edelman, Murray J. From Art to Politics. Chicago: U of Chicago P, 1995. Gupta, Satish. Kenneth Burke's Literary Theory. New Delhi: Anmol Publications, 1995. Stewart, John Robert. Language as Articulate Contact: Toward a Post-Semiotic Phiosophy of Communication. Albany: State U of New York P, 1995. Alpers, Paul J. What Is Pastoral?. Chicago: U of Chicago P, 1996. Behr, Martin, and Richard M. Coe. Critical Moments in the Rhetoric of Kenneth Burke: Implications for Composition. Winnipeg, Man. : Inkshed Publications, 1996. Carter, Chris Allen. Kenneth Burke and the Scapegoat Process. Oklahoma Project for Discourse and Theory. Norman: University of Oklahoma Press, 1996. Dixon, Michael F.N. . The Polliticke Courtier: Spenser's `the Faerie Queene' as a Rhetoric of Justice. Lanham, Md. : University Press, 1996. Selzer, Jack. Kenneth Burke in Greenwich Village: Conversing with the Moderns, 1915-1931. The Wisconsin Project on American Writers. Madison, Wis.: University of Wisconsin Press, 1996. Stark, Frank M. Communicative Interaction, Power, and the State. Toronto: U of Toronto P, 1996. Wess, Robert. Kenneth Burke: Rhetoric, Subjectivity, Postmodernism. Literature, Culture, Theory. Cambridge: Cambridge University Press, 1996. Biesecker, Barbara A. Addressing Postmodernity : Kenneth Burke, Rhetoric, and a Theory of Social Change. Studies in Rhetoric and Communication. Tuscaloosa: University of Alabama Press, 1997. Coupe, Laurence. Myth. London: Routledge, 1997. Jay, Paul. Contingency Blues: The Search for Foundations in American Criticism. Madison: U of Wisconsin P, 1997. Lindsay, Stan A. Implicit Rhetoric: Kenneth Burke’s Extension of Aristotle’s Concept of Entelechy. Lanham, NJ: University Press of America, 1998. ---. The Twenty-One Sales in a Sale. Grants Pass, OR: Oasis Press, 1998. Poole, Stephanie. The Making of an Aids Quilt Panel: A Burkean Pentadic Analysis. Vol. Dissertation: Eastern Illinois U, 1998. Stillar, Glenn F. Analyzing Everyday Texts: Discourse, Rhetoric, and Social Perspectives. Thousand Oaks, CA: Sage Publications, 1998. Brock, Bernard L., ed. Kenneth Burke and the 21st Century. Albany: State U of New York P, 1999. Crusius, Timothy W. Kenneth Burke and the Conversation after Philosophy. Rhetorical Philosophy and Theory. Carbondale: Southern Illinois University Press, 1999. Kallendorf, Craig. Landmark Essays on Rhetoric and Literature. Landmark Essays. Mahwah, N.J.: Hermagoras Press, 1999. Lindsay, Stan A. Revelation: The Human Drama. Bethlehem, PA: Lehigh University Press, 2000. Henderson, Greig E., and David Cratis Williams. Unending Conversations : New Writings by and About Kenneth Burke. Rhetorical Philosophy and Theory. Carbondale: Southern Illinois University Press, 2001. Nienkamp, Jean. Internal Rhetorics: Toward a History and Theory of Self-Persuasion. Carbondale, IL: Southern Illinois University Press, 2001. Robinson, Douglas Who Translates? Translator Subjectivities Beyond Reason. Albany: State University of New York Press, 2001. Simons, Herbert W. Persuasion in Society. Thousand Oaks, CA: Sage, 2001. Williams, David Cratis and Greig Henderson, eds. Unending Conversations: New Writings by and About Kenneth Burke. Carbondale: Southern Illinois UP, 2001. Wolin, Ross. The Rhetorical Imagination of Kenneth Burke. Studies in Rhetoric/Communication. Columbia, S.C.: University of South Carolina Press, 2001. Blakesley, David. The Elements of Dramatism. Boston: Longman, 2002. Murray, Jeffrey W. Kenneth Burke: A Dialogue of Motives. Lanham, Md. : University Press of America, 2002. Eddy, Beth. The Rites of Identity: The Religious Naturalism and Cultural Criticism of Kenneth Burke and Ralph Ellison. Princeton, NJ: Princeton University Press, 2003. Bobbitt, David A. The Rhetoric of Redemption: Kenneth Burke’s Redemption Drama and Martin Luther King, Jr.’S "I Have a Dream Speech". Communication, Media, and Politics Series. New York: Roman & Littlefield, 2004. Clark, Gregory. Rhetorical Landscapes in America: Variations on a Theme from Kenneth Burke. Studies in Rhetoric/Communication. Columbia: University of South Carolina Press, 2004. Coupe, Laurence. Kenneth Burke on Myth: An Introduction. New York: Routledge, 2004. Garlitz, Robert. Kenneth Burke's Logology and Literary Criticism. Philadelphia: Xlibris, 2004. Hyde, Michael J. The Ethos of Rhetoric. Columbia, S.C.: University of South Carolina Press, 2004. Jost, Walter. Rhetorical Investigations: Studies in Ordinary Language Criticism. Charlottesville: University of Virginia Press, 2004. Lindsay, Stan A. A Concise Kenneth Burke Concordance. West Lafayette, IN: Say Press, 2004. Bloom, Harold. Modern American Poetry. Bloom's Period Studies. Philadelphia: Chelsea House Publishers, 2005. Brock, Bernard L., et al. Making Sense of Political Ideology: The Power of Language in Democracy. Boulder, CO: Roman & Littlefield, 2005. Burke, Kenneth. Late Poems 1968-1993. Ed. Julie Whitaker and David Blakesley. Columbia, SC: University of South Carolina Press, 2005. Huglen, Mark E., and Basil B. Clark. Poetic Healing: A Vietnam Veteran's Journey from a Communication Perspective. revised ed. West Lafayette, IN: Parlor Press, 2005. Nelson, Brent. Holy Ambition: Rhetoric, Courtship, and Devotion in the Sermons of John Donne. Tempe, AZ: Arizona Center for Medieval and Renaissance Studies, 2005. Rovit, Earl H., and Arthur Waldhorn. Hemingway and Faulkner in Their Time. New York: Continuum, 2005. Wetzsteon, Ross Republic of Dreams, Greenwich Village: The American Bohemia, 1910-1960. New York: Simon and Schuster, 2005. Bloom, Harold. Walt Whitman. Bloom's Modern Critical Views. Updated ed. New York: Chelsea House Publishers, 2006. Ramage, John D. Rhetoric: A User's Guide. New York: Pearson, 2006. Lewis, Camille. Romancing the Difference: Kenneth Burke, Bob Jones University, and the Rhetoric of Religious Fundamentalism. Waco, TX: Baylor University Press, 2007 (forthcoming). Rountree, Clarke. Judging the Supreme Court: Constructions of Motives in Bush V. Gore. Ann Arbor: Michigan State University Press, 2007 (forthcoming).